All the information displayed, transmitted or carried on this website is protected by copyright and intellectual property law. By accessing to this site a user agrees not to modify, publish, distribute or in any way commercially exploit any of the Content. You agree to abide by all copyright notices and restrictions attached to the Content accessed through this website. Little Scholars Montessori has taken all the efforts to check the accuracy of the information contained within this site. But it accepts no liability for any inaccuracies and the visitors who rely on this information should do so at their own risk. 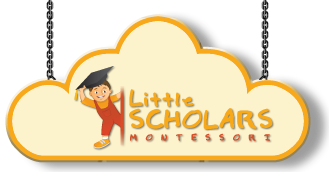 Little Scholars Montessori is not responsible for the content or reliability of the linked websites within this site and does not necessarily endorse the views expressed within them. Listing shall not be taken as endorsement of any kind.